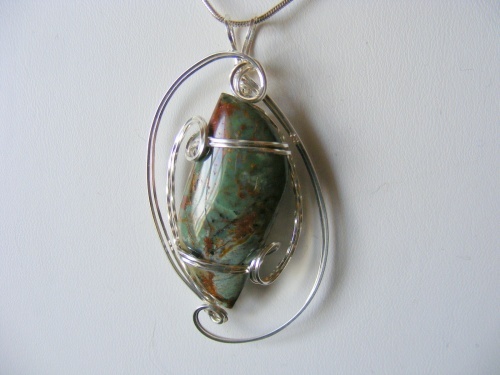 This pretty green and brown jasper gemstone has been sculpted in sterling silver ornate curls. This is so pretty when worn, makes a true statement of stylishness. Piece comes with a sterling silver snake chain.